Ann Leslie is enjoying a pot of tea in Brown’s in Edinburgh’s George Street and musing over achieving a significant milestone in providing badly needed homes. As chief executive of LAR Housing Trust, she has overseen its first ever design and build development of affordable flats on the site of a former Cockenzie boatyard. It is close to the site of the recently-demolished power station and was officially opened by the housing minister Kevin Stewart. LAR is a not-for-profit charity that works with builders to provide homes in the mid-market rental sector. It aims to provide 1,000 affordable homes across Scotland and has 24 sites either completed or under construction. 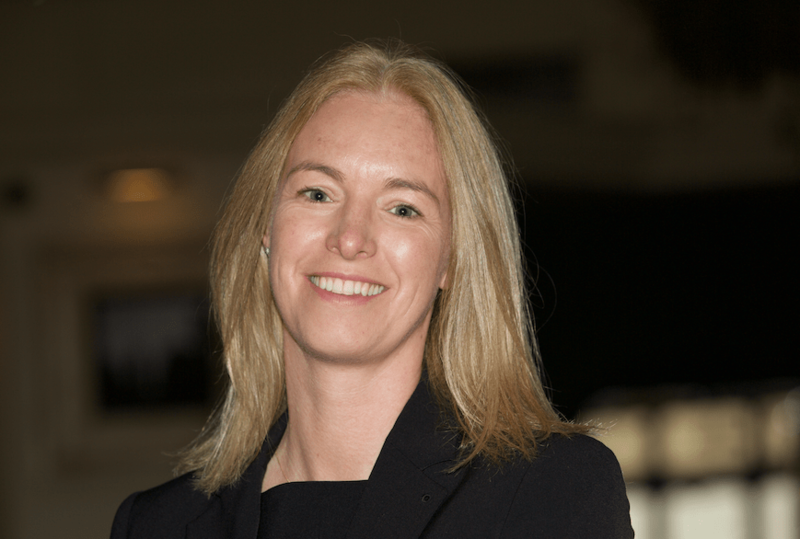 Leslie, who trained and worked as a lawyer, was part of the team at Scottish Futures Trust who came up with the business plan for LAR backed by a £55 million loan from the Scottish government. It has since received a further £65m from Bank of Scotland and Scottish Widows. After allocating £80m of the fund, she is beginning to turn her attention to the next round of finance which will be required in a year’s time. “Without the initial funding LAR would not have worked. The government has been hugely supportive and Kevin [Stewart] has been fantastic. He really gets what we are trying to do,” she says. The government wants to build 50,000 affordable homes, and LAR has been credited with helping stimulate the sector. As Jim Goodfellow of East Lothian Council said at the opening of the Cockenzie site, it had been designated for a private developer which would have delivered 25% of housing as affordable, but the LAR initiative will deliver 100% of affordable housing properties. Private developers as well as councils and housing associations are moving into the sector and builders are keen to work with LAR. “With the funding in place it has given builders confidence to work with us,” says Leslie, adding that it has also enabled the Trust to kickstart mothballed developments. Building houses and apartments may be what it says on her job description, but for Leslie it’s more about creating homes, particularly for those at the bottom of the income scale. Like Places for People, the trust is operating in a sector that is growing as more people struggle to buy a home, or pay high rents. Some choose to rent, perhaps because they do not have a long term commitment to a particular area. But it is not just the young who seek rental property. About half of tenants on some developments are older people. LAR provides carpets and white goods in its homes. It does not extend to offering any form of social care, though it does work with other agencies where necessary. So far, the tenant record has been virtually trouble-free and Leslie believes that providing a decent home changes people for the better. She presents herself as not so much a company salesman as someone who sees her tenants as part of an extended family. Does she think a trust like LAR is making a difference? When I was younger I took time out to travel and worked as a painter and plasterer. So you like to inspect the plastering at LAR’s developments? Not much. Though I am impatient. I like things to move quickly. Who’s been the biggest influence on you? If you could invite three people, past or present, to a meeting or to dinner, who would you choose?